The roof of your Houston home could be compromised without you even noticing. Most people don’t realize their roof is failing until there are wet spots on their walls and ceiling. Not fixing these leaks can lead to structural damage that can be very expensive to repair. Here are just a few of the clues to look for to determine if your Houston roof may need to be replaced. For a thorough evaluation of your roof, contact a Houston residential roofing contractor like Live Oak Construction to schedule a free on-roof inspection. 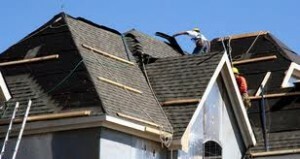 Our expert Houston roofers will look for signs of wear or damage. Upon completing our inspection we will give you a full report on the health of your roof.